When it comes to iOS games, every Activision brand is on the table. 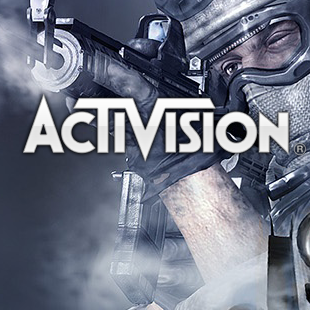 If you spend any significant amount of time following videogames (and if you're reading this right now, chances are good that you do), you'll be familiar with Activision. This gargantuan company is one of the biggest players in the business, and not without good reason: It owns some of gaming's biggest brands, from Call of Duty to World of Warcraft. Not everyone likes Activision, of course, but even its biggest critics have to admit that it knows which way the wind is blowing. It wants to make a splash in the growing market of mobile gaming, and rather than developing a brand new franchise to do so, it would rather dip into its existing IPs - all 350 or so of them. According to Greg Canessa, Activision's vice president of mobile gaming, "We want to create mobile games from all of these aspects of the Activision portfolio, and build a variety of experiences." Absolutely nothing - no matter how obscure or entrenched in a particular system - was off the table. "We have a rich thirty-year history from the Atari days to the Blizzard merger. We have about 350 different brands and IPs to work with." While some of Activision's major brands like Starcraft or Skylanders might seem like the obvious go-to choices, its mobile studio's debut release was Pitfall on iOS, so the company seems serious about mining older properties. The decision makes financial sense, too. "The creation of new IP is expensive," explains Canessa, reasoning that just about any IP in the Activision bullpen has at least a little bit of brand recognition that it can leverage in promoting a new game. "Some IP probably maps better to mobile devices, but mobile allows for all kinds of genres ... So we're not ruling out any IP." Gamers might also be interested to know that one of Canessa's primary interests is bringing more traditional core genres to the mobile space instead of just sims and puzzles. "I'm very interested in the strategy space and what we can do there," he says, and adds that "On mobiles there has been a lack of great action games due to user-interface issues. I think there's a tremendous opportunity for us to innovate in that space." While this will leave some fans clamoring for a new Warcraft RTS or an eminently portable Call of Duty, personally, I'll be holding out something involving those loveable scamps, The Lost Vikings.